Ms. Curley has over ten years of professional experience in damages assessment and forensic accounting. 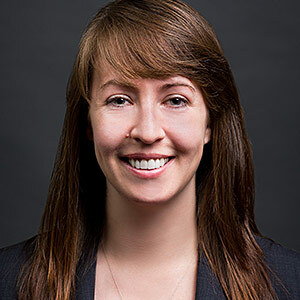 Ms. Curley has extensive experience assisting clients with the evaluation of damage claims resulting from breach of contracts, terminations for convenience, and class action lawsuits. She has provided assistance to both plaintiffs and defendants and has worked cases involving multiple industries including nuclear power, construction, manufacturing, online travel, and internet information services companies. Ms. Curley’s class action experience includes large scale engagements requiring intensive data analysis. She facilitated the successful defense of a manufacturing company against class certification for unlawful deductions from employee wages; computed discrepancies in membership fees; and calculated the hotel occupancy taxes owed by the major online travel companies to various individuals and jurisdictions. Ms. Curley has created analyses to evaluate damage claims for breach of contract, termination for convenience, and lost profits. Her investigations include reviewing the timing of key claim elements, verifying equipment and labor usage rates, and analyzing financial statements to determine profit margins. Ms. Curley has performed cost analyses on many construction cases. She has prepared fixed and variable analysis of overhead costs, analyzed equipment costs, and audited subcontractor claims. She has worked with technical experts to analyze operating and construction costs at nuclear power plants. Additionally, she has assisted counsel in numerous aspects of litigation proceedings including document discovery, depositions, and trials.